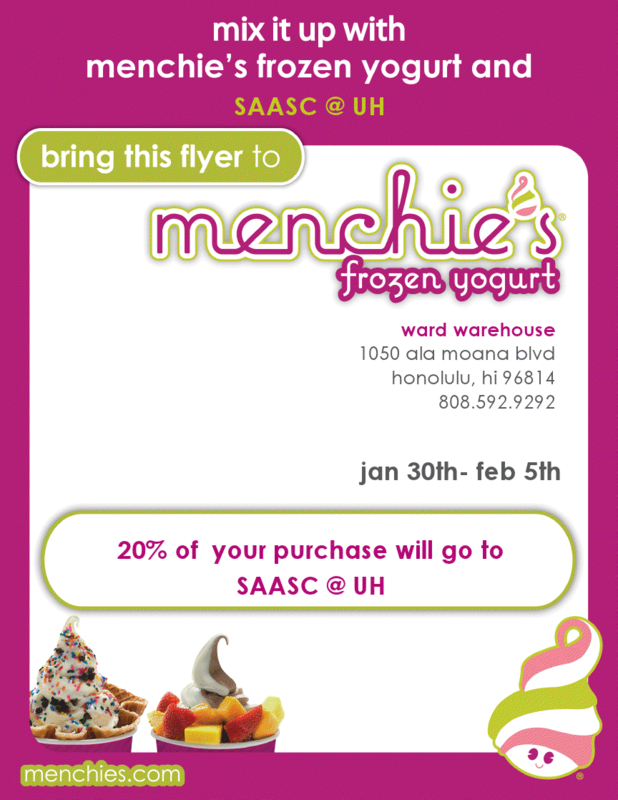 This week only… SAA-SC will be having a week long fundraiser at Menchie’s Frozen Yogurt (Ward Center). 20% of the proceeds will go to the AHA student travel fund to support travel scholarships for students to attend this year’s annual meeting. Please come down and support them! When you do go, please show the attached flier via print or phone in order for SAA-SC to receive the 20%.